TAROT PEEPER T10X is a great 3-axis gimbal for model aircraft enthusiasts,it provides a 10X optical zoom. The F2.0 uses 1/3 colour CMOS4 image sensor which supports approx.4 million effective pixels(2688 x 1520). 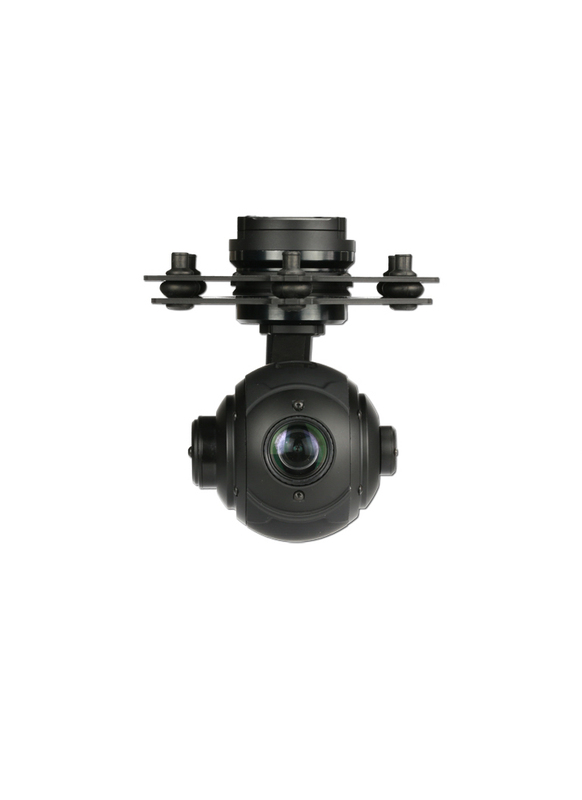 With unique internal wiring design,built-in IMU gimbal control module,specialized servo drive module,this peeper T10X can be widely applied to various model aircaft activities and entertainments.10X optical zoom breaks the limitations of light and space, providing a new visual dimension, you can use it to capture a clear, precise search area anytime, anywhere,which makes work more efficient, easy and safe.It is widely used in public security monitoring, power patrol, search and rescue, remote sensing mapping, life exploration and other types of UAV mission. Are there any youtube examples of video taken on this unit ? Sorry nothing yet, the camera is quite new. We'll try and get around to making one soon. Forgot to ask - what video quality is the video recorded at? Does this camera support angular position control, or is it only angular rate control? Where is the HDMI output connector located? Behind the camera or on the gimbal controller? The HDMI output, SD port and configuration port are located on the gimbal controller (top of the gimbal).